← Literary readings: all welcome! The University of Reading, the Staging Beckett project, and the Beckett International Foundation are delighted to present a conversation with acclaimed theatre director Ian Rickson, who will be talking about the challenges of directing the work of Samuel Beckett and Harold Pinter, with Mark Taylor-Batty who has written extensively on both playwrights. Ian Rickson directed Pinter in Krapp’s Last Tape at the Royal Court Theatre, London, in 2006. The event is being held in The Minghella Building, Whiteknights Campus, on Thursday 3rd October 7.30pm. Doors open 6.30pm. The talk is followed by a wine reception. This event will celebrate the founding of the Beckett International Foundation at the University of Reading 25 years ago, and the launch of the AHRC-funded Staging Beckett project, a collaboration with the University of Chester and the Victoria and Albert Museum. Staging Beckett is developing a database of productions of Beckett’s plays in the UK and Ireland which will be available in 2014. This is a pilot for a wider performings arts database. An exhibition will be open for the evening of the event with materials from diverse productions of Krapp’s Last Tape in the UK and Ireland, including Rickson’s production with Harold Pinter, and the premiere of the play at the Royal Court Theatre in 1958, starring Patrick Magee, directed by Donald McWhinnie and designed by Jocelyn Herbert. The exhibition will feature items in the University of Reading’s collection related to Krapp’s Last Tape, and items from the Jocelyn Herbert Archive, housed at Wimbledon College of Art, University of the Arts, London. 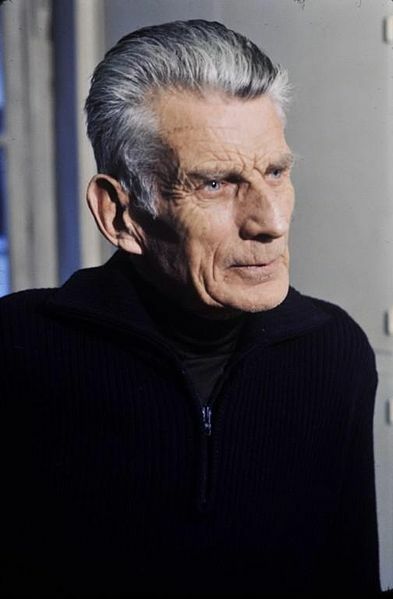 This entry was posted in Department of English Literature news and events and tagged Beckett International Foundation, English Department, English Literature, Ian Rickson, Mark Taylor-Batty, Reading, Staging Beckett Project, University of Reading. Bookmark the permalink.